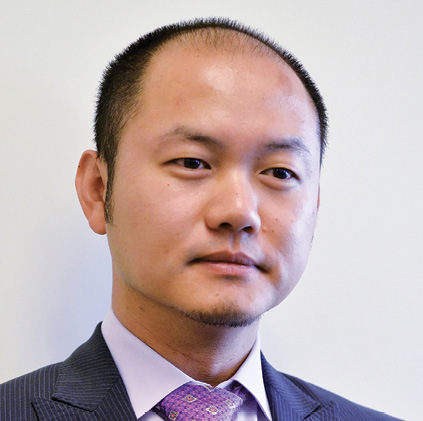 Daniel Chen has held his current post as President of HNA Group North America LLC since November 2012. Prior to this, he held the roles of CEO – Pacific American Corp.; President – Kingdom Investment Advisors Ltd.; and Associate with Benedetto, Gartland & Company, Inc. He is a graduate of University of Washington. HNA Group (hnagroup.com) was founded in 1993 ad was developed from a local airline in Hainan Island to a Fortune 500 global conglomerate encompassing core divisions in aviation, financial services, real estate, tourism, and logistics. Today, HNA Group’s assets is around RMB 500 billion, revenue of RMB 150 billion, with 11 listed companies, and more than 110,000 employees worldwide. What is the history of HNA Group and its operations in North America? HNA Group was founded in 1993. It’s an investment holding conglomerate covering a wide range of industries. HNA is an integrated modern service provider with primary business in aviation, tourism, logistics, and financial services. The airline accounts for about 45 percent of our business. Our investment rationale is based on the three value streams: the flow of people, the flow of goods, and the flow of capital. Wherever our aviation airline routes and aviation expansion take us, tourism naturally follows. Locally established hotel and hospitality acquisitions follow, as well as the logistics counterpart – the flow of goods. The financial services follow and mainly focus on the funding of our acquisition expansion overseas, as well as the consumer spending. Over the past five years, HNA has been quite active in the North American market, primarily in the U.S., mostly due to the acquisition of various target companies in key HNA industry sectors. HNA, however, has not lost focus on its core business – our airline. We have increased routes to North America and today we have five destinations in North America – Seattle, San Jose, Toronto, Boston, and Chicago. We have expanded the airlift for travelers coming here for both business and leisure, and we have a significant number of businesses coming here looking into investments in the U.S.
HNA’s intention in the U.S. is to provide a facility to support services, not only for the passengers flying our routes – including best safety, world-class service, and on-time flights – but services beyond aviation. We’ve acquired a hotel and an office building in Midtown to establish our initial footprint. We also made investments in LPG fracking and transportation, container leasing, and aviation leasing businesses. The leasing business correlates closely with our aviation business. In general, we are looking to expand our market share outside of China and the U.S. is an important strategic market of HNA’s outbound investment focus. We went from aviation leasing to trailer leasing to container leasing and, after two rounds of roll-up acquisition, we bought an entity called GE SeaCo from GE. We then added Kronos, another container leasing company. Now we’re the world’s largest container leasing company by volume. The purpose of HNA Group North America is to have a local presence in order to better facilitate our parent company in local endeavors. This way we establish and build relationships with local banks and capital markets. We are also able to attract top quality local talent that suits our demanding projects. Our primary function is direct investments, asset management, investment management, and project development – to further identify suitable joint venture partners or acquisition targets for our parent company in the industries that we’re heavily involved in. Will those opportunities in North America be within the industries you touched on? They will be in the existing industries, like hotel tourism, logistics, and financial services and leasing. We look at targets that fall within the range of our existing industries. When it comes to our investment in the fracking business, HNA had no prior exposure to this industry. We don’t engage in the daily operation of fracking or LPG production. Our shipyard builds specialized LPG ships that transport the produced fracked oils from here to China, and in China we established refinery facilities at the ports to help refine these products to meet domestic demands. How did your purchase of Cassa Hotel come about? Cassa Hotel was purchased towards the end of 2008. The U.S. hospitality and hotel operations in general is a good sector to be in. We bought it with the intention that we would have a Beijing-JFK route soon, but there have been some delays due to regulatory issues in China. We are now looking at flying from other cities in China to either JFK or Newark. The next phase of our hotel focus is not to buy individual properties but to work with a hotel management group that has a portfolio of hotels. With 6 to 7 percent growth in China, how do you see the economy today? President Xi Jinping of China calls it the new norm of the Chinese economy, which is a great way to summarize what is happening in the country. It’s an indicator of a transitional phase. While the 6 or 7 percent growth is high by other country’s standards, it’s a long-term number that China will maintain, underneath which we see a big transition from old labor-intensive, pollution-intensive, and low-productivity manufacturing to a more consumer-oriented and consumer spending-oriented society, with more innovative and high-tech industries. Would you talk about the talent you’ve assembled here? Our goal is to be here long term. For that to happen, we need strong local talent. The group has a good policy for local recruitment. Our group has a rigorous program where each recruit has the ability to rotate within different organizational functions and industry sectors, and sometimes spend significant time at the headquarters so to be exposed to decision-makers at home, and carry that knowledge back to the function and location where they began. Do you enjoy the U.S. market with all of the action in New York? New York City is our group’s American headquarters and we selected the city because of its good access to debt and equity capital markets, and in order to build strong relationships with global and local players in financial services, real estate, and various other industries. The pool of local talent and being able to engage capable staff was also a reason to be in New York.